Sweet Deep Grapefruit is a hybrid feminized Marijuana strain created by crossing Blueberry and Grapefruit. This strain was specifically developed to increase its sweet and fruity flavor taste that will delight the most exigent smokers. 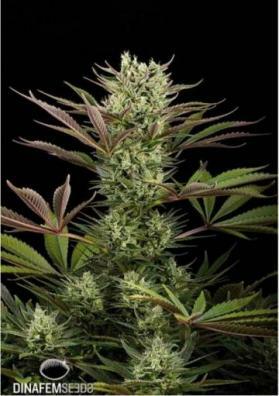 Sweet Deep Grapefruit is a hybrid feminized Marijuana strain created by crossing Blueberry and Grapefruit. This strain was specifically developed to enhance its organoleptic qualities thus resulting in a sweet and fruity taste with a characteristic acid touch appreciated by the most exigent smokers. It provides a hybrid effect (it hits both the body and the brain), very well balanced besides being potent and very harmonious. This plant harbors a sativa structure, which in the outside is able to reach 3 meter high with a normal branching and a short interndal distance that culminate in abundant yields. Some specimens acquire red, purple and violet tones, a characteristic inherited from their Blue genetics. This peculiar characteristic gets even more visible in the garden when the temperatures are low. This plants develop thick and compact buds all over the plant in a homogenous way. In a growing room and after 50 days of waiting you will be able to collect its yields while in the outside you can harvest it in mid-October being able to get productions ranging from half a kilo and 800 grams per plant.